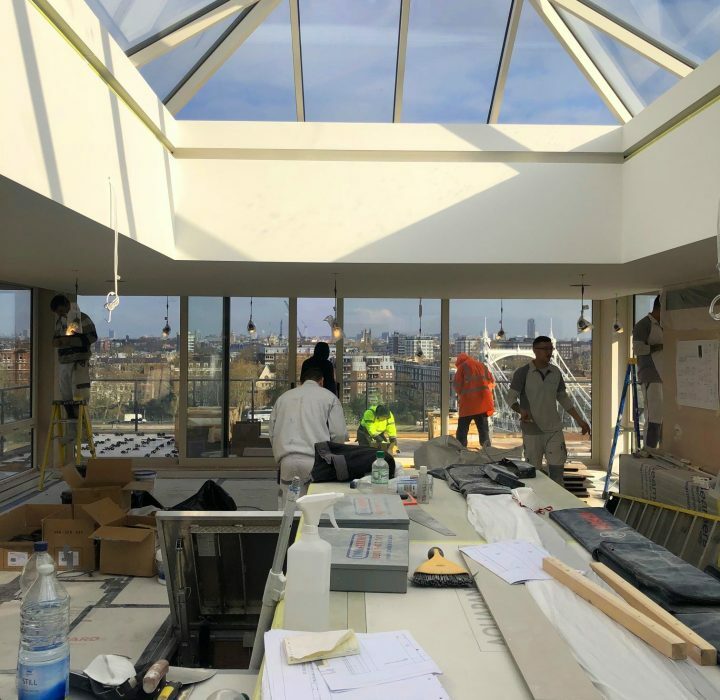 Studio Indigo are refurbishing a large duplex apartment overlooking the River Thames and with works well underway, the project is due for completion early Summer 2019. The large apartment includes an extensive terrace perfect for enjoying the panoramic view of the River Thames, with new windows and doors to match the early 1980’s building. The existing finishes and interiors were rather dated and in need of a complete overhaul to bring the interiors into the 21st Century. The layout of the apartment has been reconfigured to include bright open-planned living space and a stunning new double-height entrance which will combine high-end finishes and contemporary interiors.